This is a big cause because if this did not happen and the British did not lose they wouldn't be fined so they would not demand taxes to pay off that debt. 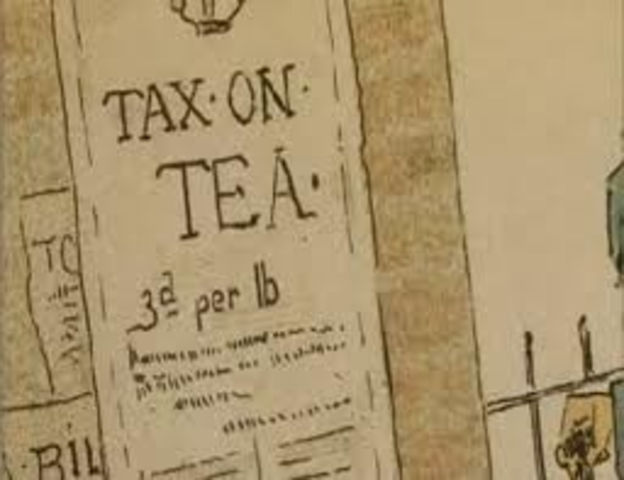 The colonists were very mad with the British because they put taxes on almost everything. It lead to the outbreak of war because the taxes upset the colonists which made them protest and fight for their rights. 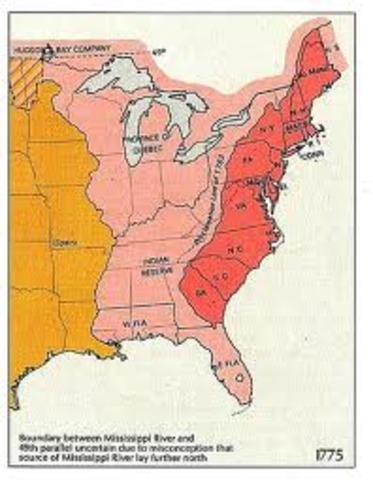 The proclamation was an act that banned all colonist from settling west of the Appalachian mountains. The colonists believd they had a right to live where they pleased. They ignored this act and settled west of the mountains anyway, mostly because it was impossible for the British to enforce. This made the colonist furious because they beleived that they had a right to live wherever they wanted to. 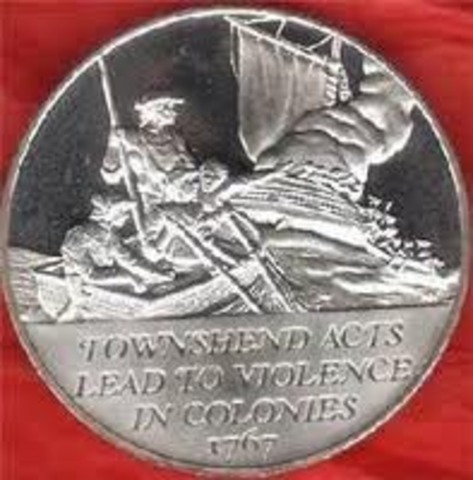 This lead to the outbreak to war because it made the colonists want revenge on British. In the sugar act the British put taxes on sugar, molasses and other things. This made James Otis to make the phrase "Taxation without representation is tyranny!" Which basically means taxing without the colonists permission is wrong. The colonists boycott British goods, or refused to buy some goods. They also sent petitions to England. That made the colonists mad because most of the money they earned were being sent to the British. Which the colonists were not happy with. 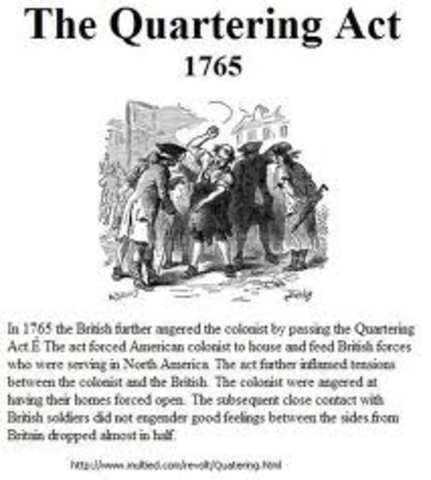 The Quartering Act was an act that required colonists to house and feed the British soldiers. 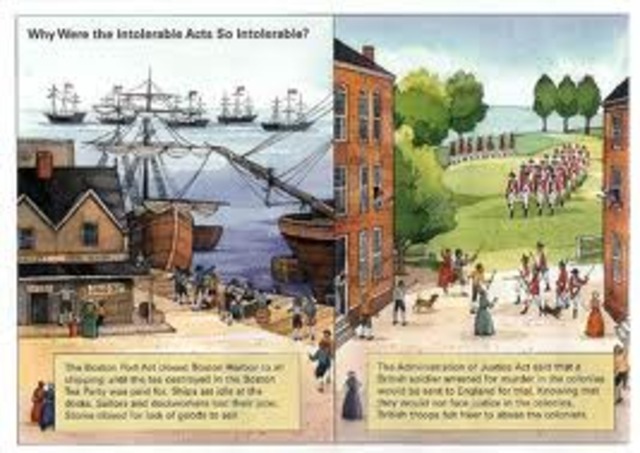 The colonists believed that their rights as English citizens had been violated. They also refused to let the soldiers in their homes. 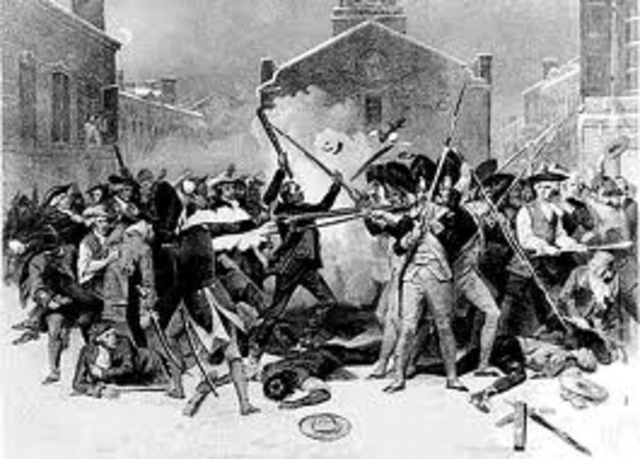 This was a part that lead to the outbreak of war, because the colonists wanted to fight for their rights back. 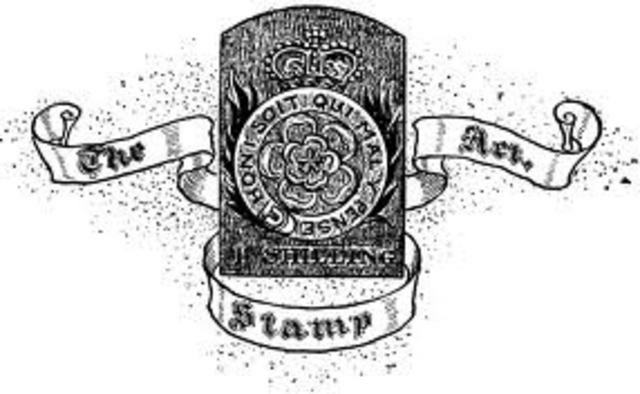 This act was an act that made colonists buy an additonal stamp for documents like wills,contracts,diplomas and even playing cards! This tax had no input and many people demanded that the tax be repealed. The colonists were very tired of these taxes and went into rage. They burnt stamps and held the Stamp Act congress in New York City. The colonists were so angry they tarred and feathered the soldiers. 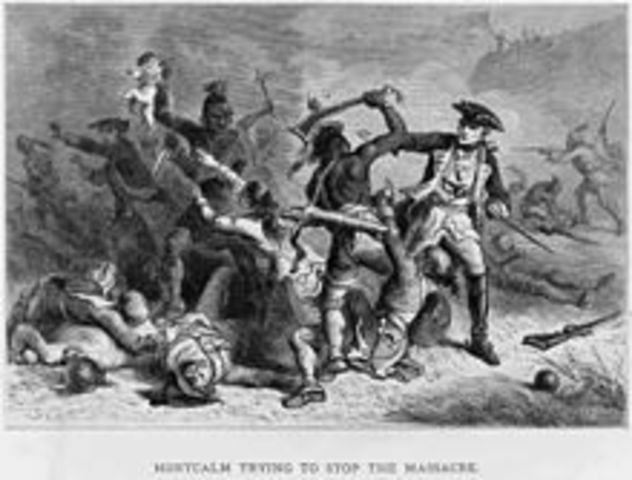 The colonists were ready to kill because they hated the taxes so much. 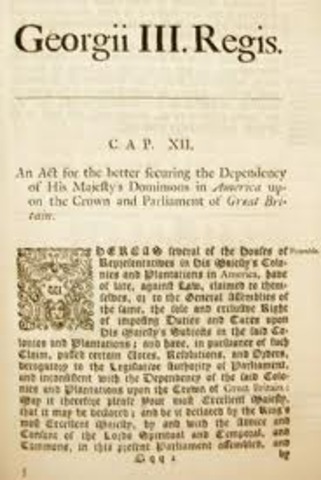 This act made it so the British did not tax goods in the colonies, only imports including lead, tea,glass etc. The writs of assitance allowed the British to search the ships for smuggled goods. Colonists believed this was still a tax and they were really upset. So they smuggled many goods into the colonies which made less imports to the colonies. This made the British and colonists come even closer to war. 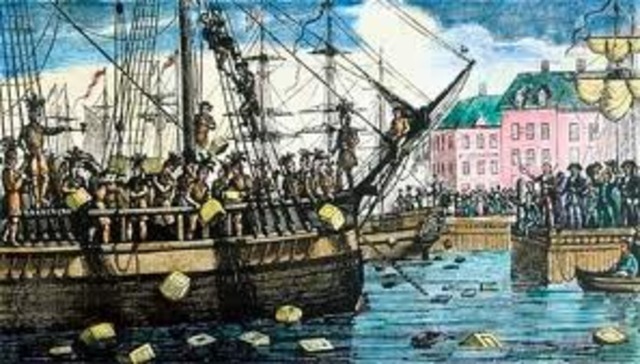 On this date the colonists were so furious with the Tea Act that they boarded 3 ships with 90,000 pounds of tea disguised as Indians and threw all the tea out into the water. The ship's names were Darthmouth, Eleanor and Beaver. This lead to the outbreak of war because they did not pay for the tea thrown off which made the British ready to fight. href='http://www.usfca.edu/fac_staff/conwell/revolution/congress.htm' >facts</a>The First Continental Congress was a meeting of all the colonie's leaders except for Georgia's leader. To decide what to do about the taxes of the British. They meeted in Philedelphia, Pennsylvania. 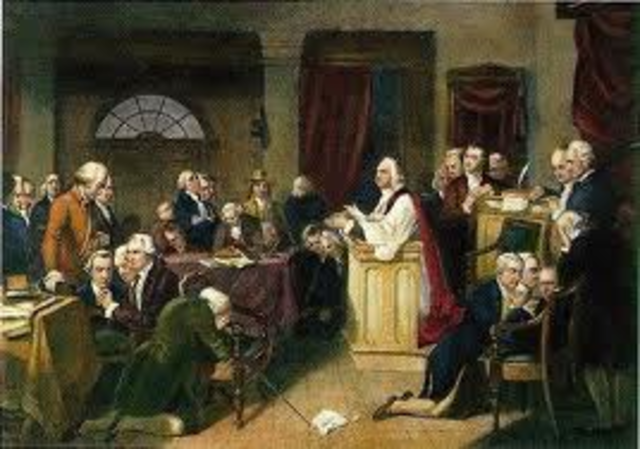 This meeting did many things here are some of them, they demanded repeal of the intolerable acts. To train militia and gather ammo. Organize boycotts on certain British goods. In this event Paul Revere went on a journey with Sam Pestcott and Billy Dawes. 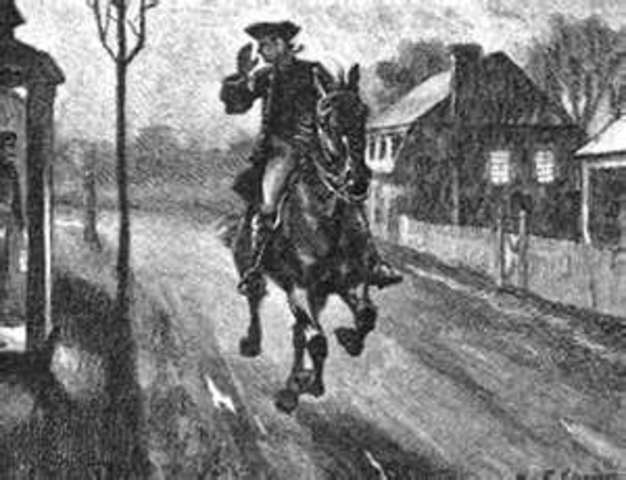 They went through all the towns on their way to Concord and warned everybody in the towns that the regulars were coming and they needed to prepair.Sam and Bill made it to Concord, but Paul was stopped on the way by a group of red coats. This event has effected the world a lot. 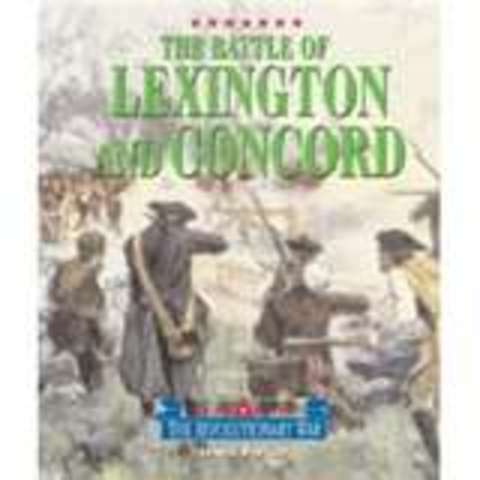 In this event the British went to Concord to capture some of the colonists. 77 Minutemen waited for the British ready to fire when they saw the whit of their eyes. All around the world heard about this happening and were very interested because they believed that it was going to affect them a lot. This made the colonists want to fight for their rights to do what they want when they please.